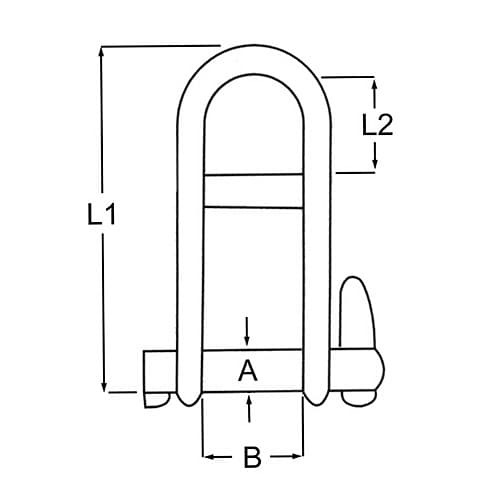 Stainless steel D shape key pin shackle with bar, opening and closing is done by simply rotating the pin half a turn, suitable for harsh marine conditions. 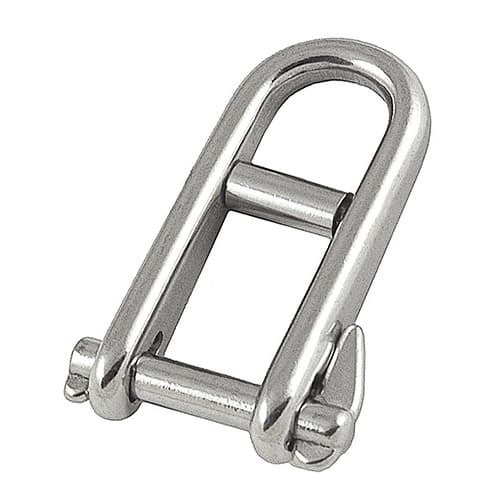 Key pin shackle with reinforcing bar in durable 316 grade stainless steel construction, ideal for marine, architectural and decorative uses. If you require our standard shackles tested & certified, please contact us on 01302 752 504 and we will be happy to carry this out.